I don't often post about hair products, which is basically because I am the laziest person when it comes to my hair. I shampoo twice in the shower, followed by conditioner, wrap it in a towel for ten minutes when I get out. Maybe once a week I'll remember to use an oil or leave-in conditioner... And that's about it. I very rarely use a hairdryer, the last time I used my straighteners was Christmas, and it's only on the odd occasion when I remember to use any kind of styling product. I like the idea of nice hair but my locks have other ideas - my hair is long, almost waist-length, and thick, and has a tendency to tie itself in the most incredible knots within ten minutes of being brushed. I keep saying I'm going to cut it all off but I know I won't because I hate my hair short - and it doesn't behave any better anyway! However, I have recently discovered a little hero which has made a surprising difference for me. 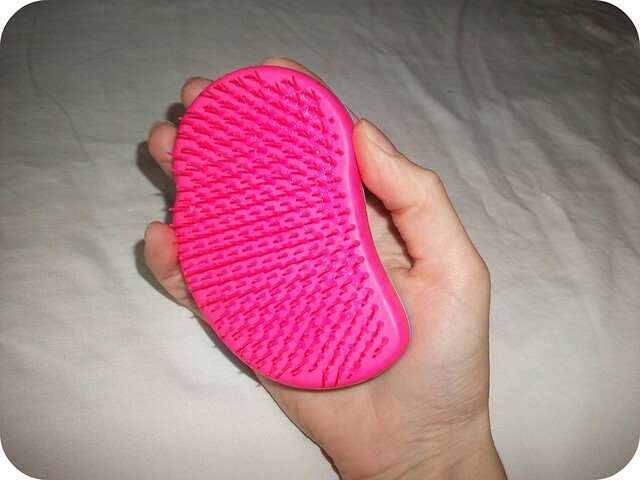 Introducing my new toy, the Tangle Teezer Original. Yes, yes, I know, I'm very late to the party on this one; these are by no means a new product, but I honestly didn't believe it could make any difference to my hair, so I only just got round to buying one a couple of months ago. I've always bought cheap hair brushes, reasoning that no brush can make any difference anyway, only to struggle with static and the little beads on the ends of the bristles falling off within a few months, meaning the brush scratches my scalp and tugs at my hair... But I didn't learn! I finally decided enough was enough and invested (cough) £7.80 plus postage on Beauty Bay for this little gem. I actually pretty much immediately posted about my new Tangle Teezer on Instagram, because I was amazed at how easily it ran through my hair, loosening and removing knots without pulling uncomfortably, leaving my hair feeling smooth and manageable, at least for a while - I don't think any brush will change my hair's inherent knottiness for long! 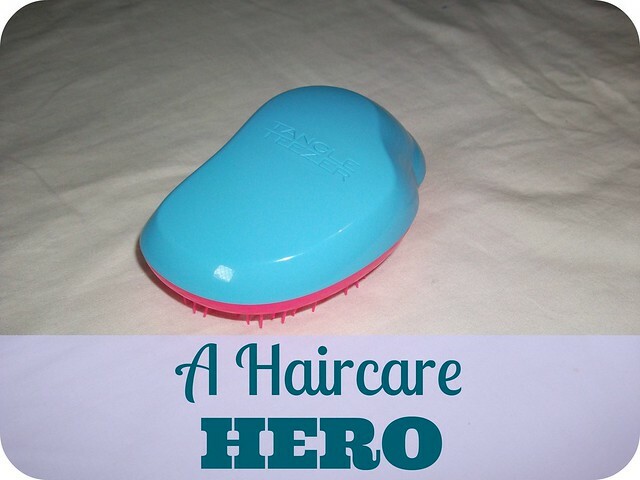 The Tangle Teezer can be used on wet or dry hair - I find it's great for detangling after washing my hair. It's shaped to fit comfortably in my hand meaning it's easy to control how much pressure I'm applying; the bristles don't have beads on to fall off, yet don't scratch my scalp or feel uncomfortable. There's no annoying static when I use it, and whilst my hair does still shed at an alarming rate, it's really easy to clean the Tangle Teezer after brushing as well! In all, this was a tenner well spent and I'm really wishing I'd taken the plunge sooner - this might well be love! ♥ I have the Blueberry Pop colour combo, which you can find on Beauty Bay for £7.80 here. 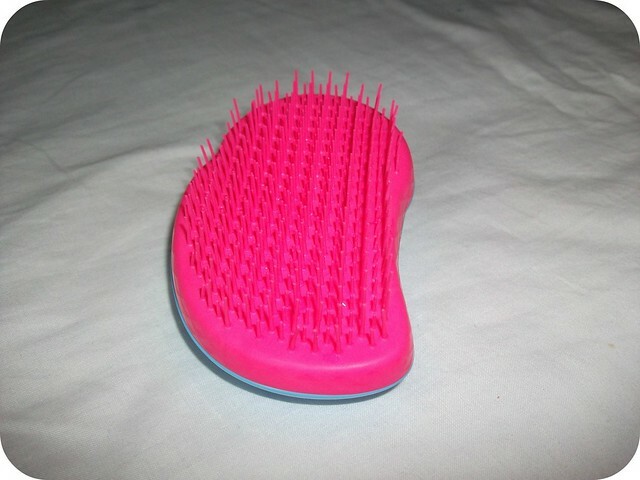 Do you have a Tangle Teezer? What are your haircare must-haves - products or tools? I'd love to hear any recommendations!! I can't live without them now! I need to get this brush. I have heard so many great things, but have not gotten it yet! I love the TT! I've actually got a few of these (I know, so spoilt) and they are miraculous at detangling knotty and thick hair. The only thing I would change is to include a handle, it makes it a little easier to use!